The bride and groom are posing for one Wallflower photographer for a portrait in this shady section of the gardens at the Weyerhaeuser Estate in Tacoma, Washington. That portrait turned out nice, but this photo by our second photographer captures a cuter moment. 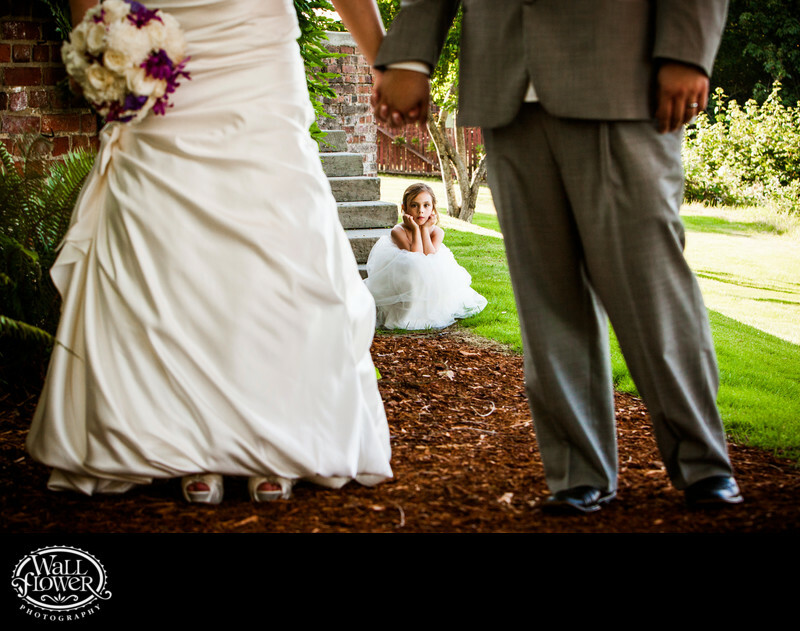 The flower girl, who is the daughter of this bride and groom, was sitting bored on a nearby staircase, watching the photo shoot, when we caught this photo of her framed by the legs and joined arms of her parents.